Three terrifying words that can bring even the strongest person to their knees. Follow the journey of 12 amazing people from diagnosis through survivorship of one of today’s most dreaded diseases. Hear the stories of how they won the fight of their lives, see the treatments firsthand that helped them do it, and find out how the experience forever changed them. We are honored that this film has been recognized with the following awards. Luisa Diaz is a remarkable young woman. At a time when our Generation Y’ers are spending their days in front of a computer, or texting on their cell phones, she is planning and fundraising for the Candlelighters Childhood Cancer Foundations ” Dream Night Prom “. At a time when most girls are worried that they’re wearing the latest fashion, she is helping to support and council families that have just learned their child has cancer. In her spare time she works to obtain a grant for a cancer based Youth Service Project. Though she has gone through chemo, radiation, and not one but two bone marrow transplants in a very difficult battle with Leukemia, she has persevered and attained her goal of completing her education. Her dream is to be a childhood cancer oncologist. She has been awarded ” The 2010 Outstanding Teen Citizen Award “, ” The Crystal Apple Youth Award “, ” The Mexican Raza Award “, and ” The Youth Service America Award “. Josh Sundquist is an absolutely amazing young man that is not letting anything stand in his way, especially the battle with bone cancer that left him with only one leg. At the tender age of 10, after a year of chemo, and then amputation, he turned to motivational speaking. At 16 he learned to ski, and six years later represented the U.S. as a ski racer in the Paralympic Games in Turino, Italy. At 18, he became the second youngest person to be accepted as a Professional Member of the National Speakers Assoc., and through his life has been a keynote speaker at schools, Fortune 500 Companies, and the White House. He has a degree in Business and a Masters in Communication, has had articles published in The Washington Post, Daily Guideposts, and Current, has co-authored a teen devotional book, and his new book ” Just Don’t Fall ” will be in stores in January. And in his spare time, he served a two year term as the National Spokesperson for the Combined Federal Campaign, an effort that raises over 300 million dollars a year for charities, and founded the ” LessThanFour.org ” website, which has become the world’s largest social networking website for amputees. 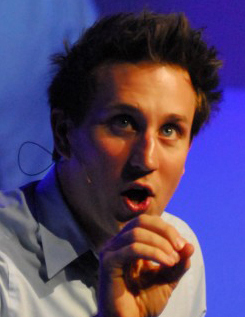 If anyone is worried about what’s happening to the younger generation, just take a look at Josh. I think we’re in very good hands. Paul Sibley, who grew up in the outdoors of Louisiana, became the first person in his family to receive an MBA, and completed over 100 triathalons, adventure races, and ultramarathons, was diagnosed with Squamous Cell Carcinoma in January of 2006. After surviving extensive surgery and aggressive radiation therapy, he returned to complete the HURT 100 Trail Endurance Run in January 2007, during which he raised thousands of dollars for the American Cancer Society. Since then, he has founded the CancerRunner.org charity to raise money for children with cancer, and continues to be a loud voice supporting both people battling cancer, and as an advocate for cancer legislation and funding. Anne Shimabukuro is a very accomplished business woman. A graduate of the Wharton School at the University of Pennsylvania with an MBA from Harvard Business School, she has climbed the corporate ladder to reach the office of Vice President of Treasury for Marriott International. At 37 years old, and a mother of two young children, she was on top of the world, and then she received the shocking news. In December of 2005, she was diagnosed with Pancreatic Cancer. She was not about to let that be the end of her story and immediately underwent surgery. While going through the follow up chemo and radiation therapies, she continued to work full time and also began her role as an advocate to help spread awareness and the need for funding for this deadly disease. She is currently serving on the Board of Directors of Food & Friends in Washington DC, and volunteers with the Pancreatic Cancer Action Network. Leimomi Golis has always been an extremely caring individual. After losing her parents at a very young age, she took over as guardian to her siblings, and as a single mother, raised a son that was inflicted with Microcephaly, a disease similar to Cerebral Palsy. In 1998, when she was diagnosed with Non Hodgkin’s Lymphoma, she proved she was also very brave. She made the decision to enter a clinical trial, completed a stem cell transplant, went back to school, and received her BSN Nursing degree. Since then she has become the head of the longest running cancer support group on Oahu, has worked with the American Cancer Society on numerous fundraisers, continues to work full time, and is caring for her younger sister as she battles cancer. Venus Gines, then a flight attendant, was diagnosed with Breast Cancer in 1992, and consequently decided to focus her graduate research on cancer in Latinas. In 1996, she developed a culturally specific video/picture book on Breast Cancer ( Una Nueva Esperanza ), and later on Prostate Cancer ( Hombre Sin Limite ) for the American Cancer Society. Soon ” Dia de la Mujer Latina ” became a reality when Venus, together with the ACS and the Mexican Consulate’s office, implemented the first non-traditional culturally relevant Latino family health fiesta. Since then she has served on numerous committees, panels, and round-tables focusing on health care and cancer, and has received the Companeros Award, The Vision of Hope Award., and the National Latina Activist Award. In October of 2009, Venus was invited to speak at the White House, by First Lady Michele Obama, in an event to mark Breast Cancer Awareness Month. Don Fallis was diagnosed with Diabetes at 54, and discovered that mountain climbing, and running ultramarathons were his medicines of choice. At 65, the time most people retire, he decided to tackle the toughest footrace on the planet, the 135 mile long Badwater Ultramarathon. In 2008, the following year, life decided to enter him in an even tougher event, the race for his life, fighting Rectal Cancer. He faced this challenge the way he has lived the rest of his life, head on, with great courage and determination. After a combination treatment of chemo and radiation, surgery, and two more follow up rounds of chemo, he is still managing his businesses, running ultramarathons, and inspiring all that know him. 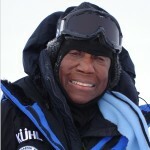 Barbara Hillary, who in 2007, at 75 years young, became the first African American woman on record to reach the North Pole on skis. Now to make it even more amazing, she did it without the part of the lung that she lost to cancer. After being raised in Harlem during the depression, losing her father at 2, and spending a lonely period in a foster home, she decided to stand on her own two feet, and make something of her life. She received her masters degree, spent half a century in nursing, retired at 62, and in her own words ” has refused to be boring “. Since her retirement, she has photographed polar bears in Churchill, learned snowmobiling, dog sledding and skiing. Her last adventure was the South Pole in 2011, making her the first African American woman to reach both poles. No telling what’s next for this unstoppable force. E! Entertainment called her ” One of the world’s most intriguing women”. 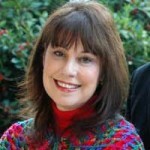 Anthony Robbins says ” She is a miracle you must Experience “. Kathy Buckley is a great many things, including a five time nominee for ” Best Stand Up Female Comedienne “, an award winning actress, accomplished author and renowned inspirational speaker. Whether you’ve seen her on ” Touched by an Angel “, The Tonight Show, The Today Show, Good Morning America, Entertainment Tonight, or a dozen other TV shows; caught her critically acclaimed one woman Off-Broadway show ” Don’t Buck with Me/Now Hear This! “; laughed at her comedy in Vegas; or read her book ” If You Could Hear What I See “; you’ve been touched by a woman of great substance. Her awards and accomplishments are too numerous to mention here, but by the way, she’s also a Cervical Cancer survivor. Mack Dryden is a very funny man ! He’s also a double cancer survivor. Born and raised in Mississippi, with a MA degree in creative writing, he decided to spend a little time in Europe before settling into a career, and by a strange turn of events, ran head on into a Moroccan prison. After having entirely too much fun there, he came back to the U.S. as a newspaper reporter, won some AP writing awards, and then finally found his calling; as he puts it ” Making people laugh until their face hurts “. He has been on ” The Tonight Show “, with Johnny and Jay, had numerous acting roles, including ” JAG ” and a recurring role on ” the Guardian “, and was hand picked by Bill Maher as a staff writer for ” Politically Incorrect “. To top that off, he’s a black belt Karate champion, and a published author.